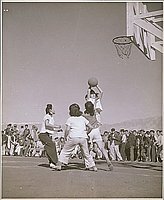 Photo of 4 girls playing basketball. One girl is in the act of shooting. 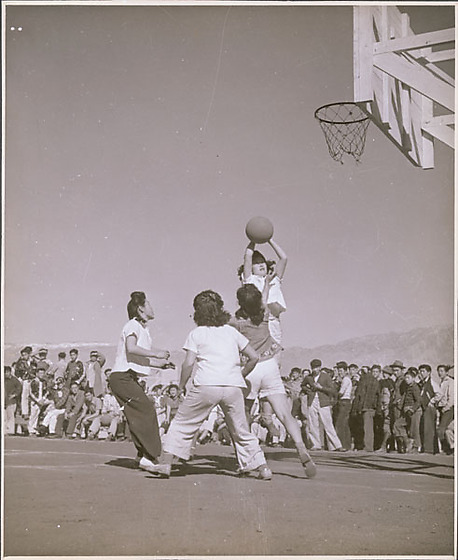 Many spectators in background and mountains behind them.